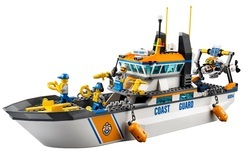 Head out to the lighthouse quick with the LEGO® City Coast Guard Patrol! Launch the submarine and helicopter from the Coast Guard Patrol boat to get there fast. 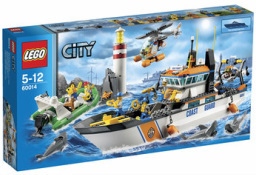 Rescue the couple with the life rings, pull them into the helicopter and scare the sharks away with the water cannons!